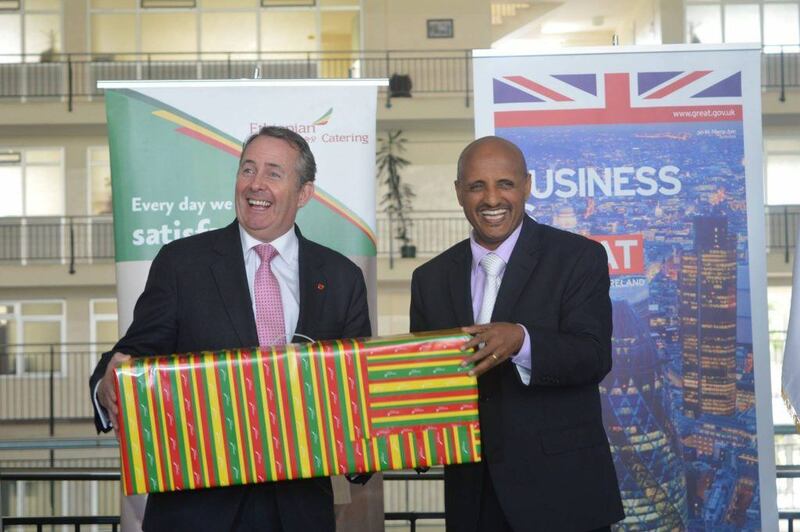 The UK has doubled the amount of export finance it is making available to support UK-Ethiopia bilateral trade, the British International Trade Secretary, Dr Liam Fox has announced. Dr Fox made the announcement during a visit to Addis Ababa, where he was accompanied by UK businesses from the infrastructure and energy sectors. Trade between the UK and Ethiopia is growing and was worth 15.4 billion ETB (£439 million) in 2015. While in Ethiopia, Dr Fox announced that the UK’s export finance available to Ethiopia has increased to 7 billion ETB (£200 million). This means an additional 3.5 billion ETB is available in support – including insurance and lending – for UK companies exporting to Ethiopia and for Ethiopian buyers of UK goods and services. Earlier in the year the Government announced that after the UK leaves the European Union, Ethiopian companies will enjoy duty-free access to the British market for all sectors except arms, a commitment that will give businesses confidence and certainty for their trade and investment decisions. During the visit, Dr Fox also visited Ethiopian Airlines, the largest buyer of UK technology, including a recent deal to purchase state of the art Rolls Royce engines for Ethiopian’s new long-haul fleet. And he opened Pittards’ new shoe factory where he saw how an innovative British company has grown rapidly to now employ 1500 Ethiopians. 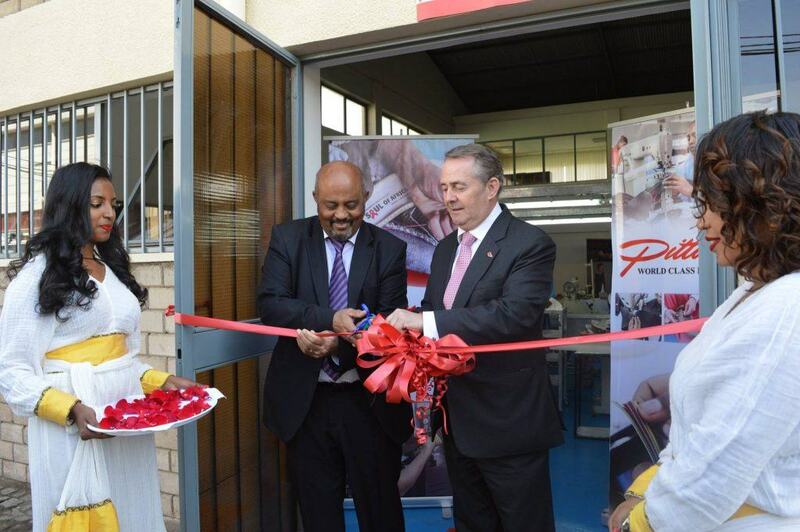 Liam Fox opening new shoe factory for Pittards UK, a great success story of British business in Ethiopia. Dr Fox also held consultations with Prime Minister Hailemariam Dessalegn and other ministers on how to further support the long-term foundations for greater trade, including the UK’s concerns at recent unrest and the importance of stability to maintain and attract investment. We are sharing expertise and strengthening existing relationships with Ethiopia and the wider region to create the UK’s trading partners of the future. This will produce local economic growth and jobs and also bring benefits back to the UK. Trade and investment between the UK and Ethiopia is worth more than 15 billion birr and as an international economic department we’ll continue to provide support for UK companies to invest in the country, opening up markets and strengthening trade links.